Our system of interchangeable electrodes for brush plating ensures that you achieve the best possible brush plating results every time. You can exactly match the right electrode with the right plating process, ensuring premium performance from the plating solution you are using. 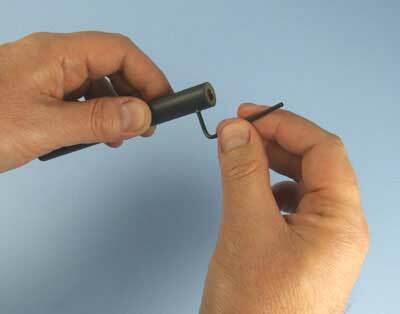 This page will show you how to easily and quickly swap electrodes, to take advantage of this flexible approach. 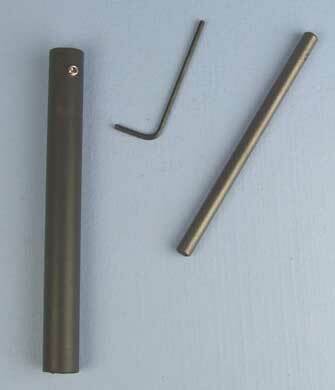 Get together your electrode handle, allen key and chosen electrode. We are demonstrating using a carbon electrode here, as care should be taken not to over tighten these electrodes as they will snap. Slowly unscrew the nut on the side of the electrode handle. Unscrew it just enough to get the electrode in but not too much or it will fall out. 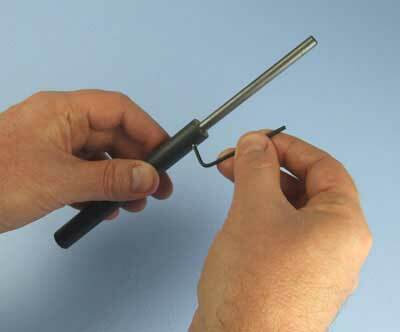 By loosening the nut, you will be able to insert the electrode into the end of the electrode handle. 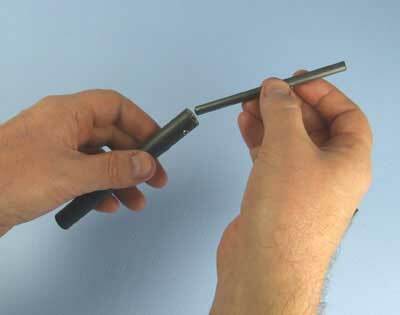 With all of our electrodes, be careful not to over tighten with the allen key, but with carbon electrodes take particular care; if you tightened them up too much, they will snap off in the electrode handle and will need to be drilled out again.